Roque MR, Foster CS. Sporotrichosis. In: Foster CS, Vitale A, eds. Diagnosis and Treatment of Uveitis. W.B. Saunders 2002. Roque MR, Corneal Cross-Linking. eMedicine 2017. Roque MR, Phakic IOL Hyperopia. eMedicine 2017. Roque MR, Small Incision Lenticule Extraction (ReLEx SMILE. eMedicine 2017. Roque MR, Roque BL. Intracorneal ring segments. eMedicine 2016. Roque MR, Roque BL. Photorefractive Keratectomy (PRK) for Astigmatism Correction. eMedicine 2016. Roque MR, Roque BL. Conductive Keratoplasty Hyperopia and Presbyopia. eMedicine 2016. Roque MR, Chorioretinitis. eMedicine 2017. Roque MR, Scleritis. eMedicine 2017. Roque MR, Uveitis, Anterior, Childhood. eMedicine 2017. Roque MR, Roque BL, Miserocchi E, Foster CS. Juvenile idiopathic arthritis uveitis. eMedicine.com 2005. Roque MR, Roque BL, Foster CS. Ocular syphilis. eMedicine.com 2005. Roque MR, Roque BL, Miserocchi E, Foster CS. Giant cell arteritis (Temporal Arteritis). eMedicine 2005. Roque MR, Roque BL, Foster CS. Ocular Demodicosis (Demodex Infestation). eMedicine.com 2005. Roque MR, Roque BL, Foster CS. Actinomycosis in Ophthalmology. eMedicine.com 2005. Roque MR, Roque BL, Foster CS. Vitreous wick syndrome (Vitreous Touch Syndrome). eMedicine.com 2005. Roque MR, Roque BL, Foster CS. Chloroquine/Hydroxycholoroquine toxicity. eMedicine.com 2005. Roque MR, Roque BL, Foster CS. Conjunctival melanoma. eMedicine.com 2005. Roque MR, Roque BL, Foster CS. Iris leiomyoma. eMedicine.com 2005. Roque MR, Roque BL, Foster CS. Giant cell arteritis. www.uveitis.org 2005. Roque BL, Roque MR. Medial Rectus Recession. eMedicine.com 2011. Roque MR, Roque BL, Foster CS. Herpes zoster. eMedicine.com 2005. Aventura M, Roque MR, Aaberg TM Jr, Roque BL. Retinoblastoma. eMedicine 2005. Roque MR. Fire and Eyes. A talk on Ocular Inflammation and Uveitis. St. Luke's Medical Center Global City Medical Ground Rounds. February 20, 2018. 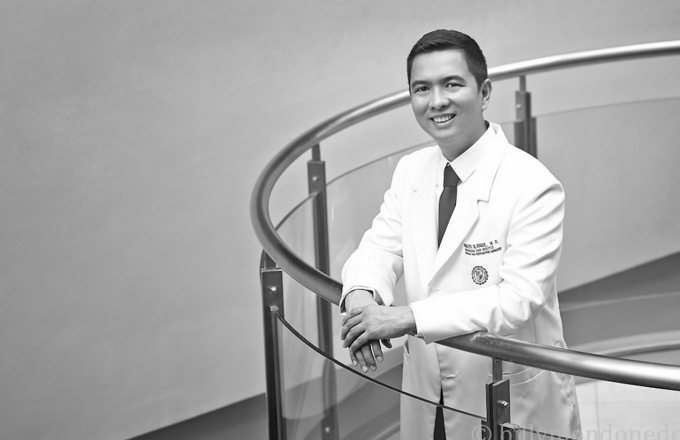 Roque MR. International Workshops on Granulomatous Uveitis and Ocular Behcet's Disease and the Asia Pacific Intraocular Inflammation Study Group (APSHSG) Meeting in Conjunction with the Midyear Meeting of the Philippine Academy of Ophthalmology. May 15-17, Cebu, Philippines. Roque MR. Artisan lens. 33rd Annual Postgraduate Course SpotifEye The Artisan Segment: Clarifying Things Beyond The Obvious. October 5, 2014. Roque MR. Practice Management in Ophthalmology. Philippine Academy of Ophthalmology Midyear Meeting. May 10-11, 2013. Roque MR. Diagnostic Testing of Uveitis Patients. Philippine Academy of Ophthalmology Institutional College. Managing the Hot Eye: A midsummer right causes. May 15, 2012. Roque MR. Multisubspecialty symposium in Ocular Inflammatory Conditions. Philippine Ocular Inflammation Society. September 17, 2011. Roque MR. Multidsciplinary seminar on Ocular Diseases. St. Luke's Medical Center Global City. Philippine Ocular Inflammation Society. September 10, 2011. Roque MR. 4th Postgraduate Course: basic and Beyond. Tanuaun Medical Society November 25, 2011. Roque MR. Philippine Academy of Ophthalmology Annual meeting: Crossroads in Ophthalmology, The Great Debates. November 17-20, 2010. Roque MR. Midyear Meeting of the Philippine Academy of Ophthalmology. 2010. Roque MR. Update on Autoimmune Eye disease. East Avenue Medical Center Department of Ophthalmology Meeting. June 15, 2009. Roque MR.Standardization of Uveitis Nomenclature. Asian Hospital and Medical Center Department of Ophthalmology Conference. 4/F Training Room, Asian Hospital, April 21, 2009. Roque MR. Basic Immunology. Philippine Society of Cataract and Refractive Surgery. 1st Quarter meeting. EDSA Shangri-La, Mandaluyong, Philippines, March 29, 2009. Roque MR. Autoimmune Uveitis. Ospital ng Maynila Department of Ophthalmology Conference, Manila, March 23, 2009. Roque MR. Basic Immunology. St. Luke's Medical Center Residents Lecture, Ophthalmology Conference Room, St. Luke's Medical Center, Q.C., March 20, 2009. Roque MR. Micro Posterior Uveitis. Philippine Ocular Inflammation Society Instructional Course. Philipipne Academy of Ophthalmology Annual Convention, SMX Convention Center, Pasay City, November 27, 2008. Roque MR. Masquerade Syndrome. Philippine Ocular Inflammation Society Instructional Course. Philipipne Academy of Ophthalmology Annual Convention, SMX Convention Center, Pasay City, November 27, 2008. Roque MR. Advances in Cataract Management. Philipipne Academy of Ophthalmology Annual Convention, SMX Convention Center, Pasay City, November 28, 2008. Roque MR. Micro Incisional Coaxial Cataract Surgery. Alcon Speakers Bureau. Philipipne Academy of Ophthalmology Annual Convention, SMX Convention Center, Pasay City, November 27, 2008. Roque MR. Philippine Ocular Inflammation Society Tribute to Dr. Romeo Fajardo. SMX Convention Center, Pasay City, November 27, 2008. Roque MR. LASIK Complications. The LASIK Surgery Clinic - Asian Hospital, Southern Tagalog Society of Ophthalmology Visx Accreditation Course. 4/F Training Room, Asian Hospital, May 25, 2008. Roque MR. Postoperative Medications. The LASIK Surgery Clinic - Asian Hospital, Southern Tagalog Society of Ophthalmology Visx Accreditation Course. 4/F Training Room, Asian Hospital, May 25, 2008. Roque MR. LASIK Complications. The LASIK Surgery Clinic - Asian Hospital, Asian Hospital Staff Visx Accreditation Course. 4/F Training Room, Asian Hospital, April 13, 2008. Roque MR. Postoperative Medications. The LASIK Surgery Clinic - Asian Hospital, Asian Hospital Staff Visx Accreditation Course. 4/F Training Room, Asian Hospital, April 13, 2008. Roque MR. Autoimmune Eye Diseases: An Ophthalmologist's Perspective. Philippine Rheumatology Association. Hyatt Hotel. January 25, 2008. Roque MR. Updates on Leprosy. Uveitis Symposium. Philippine Academy of Ophthalmology, EDSA Shangri-La, Mandaluyong, Philippines, December 7, 2007. Roque MR. Masquerade Syndrome. Uveitis Instructional Course. Philippine Academy of Ophthalmology, EDSA Shangri-La, Mandaluyong, Philippines, December 7, 2007. Roque MR. Posterior Uveitis. Uveitis Instructional Course. Philippine Academy of Ophthalmology, EDSA Shangri-La, Mandaluyong, Philippines, December 7, 2007. Roque MR. Updates on Posterior Uveitis. Department of Ophthalmology Conference. East Avenue Medical Center, East Ave. Q.C. November 26, 2007. Roque MR. Posterior Uveitis. Uveitis Instructional Course. Philippine Academy of Ophthalmology, EDSA Shangri-La, Mandaluyong, Philippines, December, 2006. Roque MR. Masquerade Syndrome. Uveitis Instructional Course. Philippine Academy of Ophthalmology, EDSA Shangri-La, Mandaluyong, Philippines, December, 2006. Roque MR. Online Journal Access. Research Committee Instructional Course. Philippine Academy of Ophthalmology, EDSA Shangri-La, Mandaluyong, Philippines, December, 2006. Roque MR. Ophthalmology in the Workplace.TOPI 2006 Quality Month Celebration, Mamplasan, Binan, Laguna, October 17, 2006. Roque MR. Cataract surgery in uveitis. Asian Hospital and Medical Center Department of Ophthalmology Monthly Conference, Palms Country Club, Alabang, Muntinlupa, July 20, 2006. Roque MR. Atypical Mycobacterium Uveitis, 1st Joint PAO AAO Annual Meeting, Philippines, November 29, 2005. Roque, MR. Dysfunctional Tear Syndrome. Department of Ophthalmology Monthly Conference, 4th Floor Training Room, Asian Hospital and Medical Center, Alabang, Muntinlupa, September 21, 2005. Roque MR. Case presentation. Philippine Ocular Inflammation Society - Filipino Foster Fellows Alumni Society, Dome Cafe, Makati, Philippines, May 23, 2005. Roque MR. 10 most common Uveitis conditions. 1st Post Graduate Course of the Asian Hospital and Medical Center. Kailiangan pa bang i-memorize yan? Asian Hospital and Medical Center 4/F Training Room, Alabang, Muntinlupa City, October 4, 2004. Roque MR. 10 most common Cornea conditions. 1st Post Graduate Course of the Asian Hospital and Medical Center. Kailiangan pa bang i-memorize yan? Asian Hospital and Medical Center 4/F Training Room, Alabang, Muntinlupa City, October 4, 2004. Roque MR. 10 most common External Disease conditions. 1st Post Graduate Course of the Asian Hospital and Medical Center. Kailiangan pa bang i-memorize yan? Asian Hospital and Medical Center 4/F Training Room, Alabang, Muntinlupa City, October 4, 2004. Roque MR. Managing a patient with anterior uveitis. Uveitis made ridiculously simpler. UERM Post Graduate Course, Celebrity Sports Plaza, Quezon City, September 24, 2004. Roque MR. Approaching the Uveitis patient. Uveitis made ridiculously simpler. UERM Post Graduate Course, Celebrity Sports Plaza, Quezon City, September 24, 2004. Roque MR. Pearls in Refraction. Eye Republic Manila , Philippines, January 24, 2004. Roque MR, Perez CA, Reyes JM. Chronic postoperative endophthalmitis. Philippine Academy of Ophthalmology annual meeting Manila, Philippines, November 26, 2003. Perez CA, Roque MR, Reyes JM. Corneal intra-epithelial epithelioma. Philippine Academy of Ophthalmology annual meeting Manila, Philippines, November 26, 2003. Roque MR, Perez CA, Reyes JM. Churg-Strauss syndrome with eye manifestations. Philippine Academy of Ophthalmology annual meeting Manila, Philippines, November 25, 2003. Roque, MR. Ocular Manifestations of Syphilis. Department of Ophthalmology Conference, Institute of Ophthalmology Conference Room, Philippine General Hospital, Manila, Philippines, November 4, 2003. Roque, MR. Conductive Keratoplasty. Department of Ophthalmology Conference, Institute of Ophthalmology Conference Room, Philippine General Hospital, Manila, Philippines, September 30, 2003. Roque, MR. Uveitis after intraocular surgery & Chronic Postoperative Endophthalmitis. Department of Ophthalmology Monthly Conference, 4th Floor Training Room, Asian Hospital and Medical Center, Alabang, Muntinlupa, September 17, 2003. Roque, MR. Member, Board of Judges. 20th Annual Dr. Jesus Eusebio Sr. Resident's Paper Presentation, CME Auditorium, St. Martin de Porres Building, University of Santo Tomas Division of Ophthalmology, University of Santo Tomas, Espana, Manila, September 12, 2003. Roque, MR. Anterior Uveitis. Department of Ophthalmology Conference. East Avenue Medical Center, East Ave. Q.C. September 8, 2003. Roque, MR. Masquerade Syndromes. Department of Ophthalmology Conference, Makati Medical Center, Makati, Philippines, September 5, 2003. Roque, MR. Project Proposal: Web Atlas of Uveitis. Philippine Foster Fellows Society. Gloria Maris, Greenbelt 2, Makati, Philippines, September 4, 2003. Roque, MR. Masquerade Syndromes. Department of Ophthalmology Conference, Institute of Ophthalmology Conference Room, Philippine General Hospital, Manila, Philippines, August 9, 2003. Roque, MR. Masquerade Syndrome: Chronic Postoperative Endophthalmitis. 1st Annual Philippine Society of Cataract and Refractive Surgery. EDSA Shangri-La Hotel Plaza, Manila, Philippines, June 7-8, 2003. Roque MR. Uveitis following intraocular surgery. Department of Ophthalmology Conference, Institute of Ophthalmology Conference Room, Philippine General Hospital, Manila, Philippines, May 27, 2003. Roque MR. Practical Refraction. 1st Eye Republic Round Table Discussion. Eye Republic, Don Santiago Building, Ermita, Manila, May 16, 2003. Roque MR. Chronic postoperative endophthalmitis. First Annual Meeting of the Philippine Foster Fellows Society. 4th Floor, Linden Suites, Pasig, Philippines, May 6, 2003. Roque MR. The use of immunosuppressive drugs in ocular inflammatory diseases. Department of Ophthalmology Conference, Institute of Ophthalmology Conference Room, Philippine General Hospital, Manila, Philippines, March 11, 2003. Roque MR. Diagnosis of Uveitis: Vitreous Biopsy. Department of Ophthalmology Conference, Institute of Ophthalmology Conference Room, Philippine General Hospital, Manila, Philippines, December 5, 2001. Roque MR. The effect of treatment and its related side effects in patients with severe ocular cicatricial pemphigoid. Department of Ophthalmology Conference, Institute of Ophthalmology Conference Room, Philippine General Hospital, Manila, Philippines, February 28, 2002. Roque MR. Anterior Uveitis. Residents' Teaching Lecture. Department of Ophthalmology Conference Room, St. Luke's Medical Center, Philippines, October 5, 2001. Pantig G, Lopez J, Roque MR, Uy HS. Serpiginous Choroiditis. Department of Ophthalmology, St. Luke's Medical Center, Philippines, September 28, 2001. Roque MR. Multifocal Choroiditis and Panuveitis. Department of Ophthalmology Conference, Science Hall, Philippine General Hospital, Manila, Philippines, September 13, 2001. Roque MR. Giant Cell Arteritis. Diagnosis and Treatment Updates. Department of Ophthalmology Conference, Institute of Ophthalmology Conference Room, Philippine General Hospital, Manila, Philippines, July 2001. Roque MR. New Developments in Refractive Surgery: INTACS micro-thin corneal inserts. Department of Ophthalmology Conference, Institute of Ophthalmology Conference Room, Philippine General Hospital, Manila, Philippines, March 2001. Roque MR. The fibroblast and fibrosis. Department of Ophthalmology Conference, Institute of Ophthalmology Conference Room, Philippine General Hospital, Manila, Philippines, February 2001. Roque MR. Mucous membrane pemphigoid with ocular involvement. Department of Ophthalmology Conference, Institute of Ophthalmology Conference Room, Philippine General Hospital, Manila, Philippines, January 2001. Roque MR. Giant cell arteritis. Immunology Conference, Department of Ophthalmology, Massachusetts Eye and Ear Infirmary, Harvard Medical School, Boston, June 1999. Roque MR. Fibroblasts and fibrosis. Basic Immunology Lecture. Department of Ophthalmology, Massachusetts Eye and Ear Infirmary, Harvard Medical School, Boston, March, 2000. Roque MR. Diagnosis of uveitis. Annual meeting of the Association of Philippine Ophthalmologists in America, Orlando, Florida, October 1999. Roque MR. Adamantiades-Behcet's Disease. Immunology Conference, Department of Ophthalmology, Massachusetts Eye and Ear Infirmary, Harvard Medical School, Boston, August 1999. Roque MR, Valenton M. Intraoperative mitomycin-C in surgery for pterygium. 17th Congress of the Asia Pacific Academy of Ophthalmology, Manila, Philippines April 1999. Roque MR. Combined lamellar keratoplasty and conjunctival autograft in the surgical treatment of recurrent pterygium. 17th Congress of the Asia Pacific Academy of Ophthalmology, Manila, Philippines April 1999. Roque MR, Nanagas J, Cruz R. Management of post-traumatic optic neuropathy: A UP-PGH profile for 1998. 17th Congress of the Asia Pacific Academy of Ophthalmology, Manila, Philippines April 1999. Roque MR. Combined pterygium excision and extracapsular cataract extraction. 17th Congress of the Asia Pacific Academy of Ophthalmology, Manila, Philippines April 1999. Roque MR, Aquino M, Espiritu R. Serpiginous choroiditis in a patient with bilateral acute angle closure glaucoma. 17th Congress of the Asia Pacific Academy of Ophthalmology, Manila, Philippines April 1999. Roque MR, Cabrera B. Profile of patients seen at the low vision clinic of the Philippine General Hospital from January 1992 to July 1997. 17th Congress of the Asia Pacific Academy of Ophthalmology, Manila, Philippines April 1999. Roque MR, Limbonsiong R. Pterygium excision with conjunctival autograft in primary and recurrent cases in the Philippine General Hospital. 17th Congress of the Asia Pacific Academy of Ophthalmology, Manila, Philippines April 1999. Roque MR, Limbonsiong R. Pterygium excision with conjunctival autograft in primary and recurrent cases in the Philippine General Hospital. Department of Ophthalmology Conference, Institute of Ophthalmology Conference Room, Philippine General Hospital, Manila, Philippines 1998. Roque MR, Cabrera B. Profile of patients seen at the low vision clinic of the Philippine General Hospital from January 1992 to July 1997. Department of Ophthalmology Conference, Institute of Ophthalmology Conference Room, Philippine General Hospital, Manila, Philippines 1998. Roque MR, Nanagas J, Cruz R. Management of post-traumatic optic neuropathy: A UP-PGH profile for 1998. Department of Ophthalmology Trauma conference, Institute of Ophthalmology Conference Room, Philippine General Hospital, Manila, Philippines 1997. Roque MR, Villalon P, Uy HS, Sy R. Literature review on macular hole surgery. Department of Ophthalmology Conference, Institute of Ophthalmology Conference Room, Philippine General Hospital, Manila, Philippines 1996. Roque MR, Aquino M, Espiritu R. Serpiginous choroiditis in a patient with bilateral acute angle closure glaucoma. Department of Ophthalmology Conference, Institute of Ophthalmology Conference Room, Philippine General Hospital, Manila, Philippines 1996. Department Conferences, Weekly (Tue & Thu), Department of Ophthalmology, Philippine General Hospital; 1996, 1997, 1998, 2001. Basic course in ophthalmology. Department of Ophthalmology, Philippine General Hospital; 1996, 1997, 1998. Seminar on ocular diseases. Department of Ophthalmology, Philippine General Hospital, 1996, 1997, 1998. Seminar on ocular surgery. Department of Ophthalmology, Philippine General Hospital, 1996, 1997, 1998. Mid-year conventions of the Philippine Academy of Ophthalmology, 1996, 1998. Annual conventions of the Philippine Academy of Ophthalmology, 1996, 1997, 1998, 2000, 2001. UP-PGH Department of Ophthalmology round table discussion, 3rd quarter 1997, 1st, 2nd and 3rd quarter 1998. Automated perimetry course, Eye Referral Center, 1996. Retina symposium. Department of Ophthalmology, Philippine General Hospital, 1996. Complications in ophthalmic surgery, 6th Post-graduate course in ophthalmology, Department of Ophthalmology, Manila Doctors Hospital, March 1997. American Society of Cataract and Refractive Surgery Annual Meeting 1997, 2000, 2001. 1st PAO-CIBA Vision Inter-hospital ophthalmic clinico-pathologic conference (August 11, 1997 Estrada Hall UP-PGH). American Academy of Ophthalmology Annual meeting 1999, 2000. Weekly Cornea/Immunology Conferences. Department of Ophthalmology, Massachusetts Eye and Ear Infirmary, Harvard Medical School July 1999 -- October 2000. Monthly Basic Immunology Conferences. Department of Ophthalmology, Massachusetts Eye and Ear Infirmary, Harvard Medical School July 1999 -- October 2000. Monthly Chief Rounds. Department of Ophthalmology, Massachusetts Eye and Ear Infirmary, Harvard Medical School July 1999 -- October 2000. Management of Typhoid Fever, Scientific symposium, The Manila Medical Society. MMS Bldg. Manila, Philippines February 13, 2001. Basic LASIK Certification Course, Technolas 217z Zyoptics, Makati Eye Laser Center, Rockwell Club, February 23, 2001. LASIK Certification Course, Bausch and Lomb Technolas 217c and Hansatome, St. Luke's Vision Laser Center, March 3, 2001. Bausch and Lomb Millenium Phacoemulsification Wet Lab, Ayala Bldg. Makati City, Philippines, July 14, 2001. MSD Glaucoma Round Table: Co-regulation. Saisaki Conference Room, West Avenue, Q.C., August, 2001. 1st Philippine Interhospital Eye Q Ophthalmic Quiz, 14/F Conference Room, St. Luke's Cathedral Heights Building, E. Rodriguez Ave. Q.C., September 8, 2001. Las Pinas Medical Society Invitational Lecture: Inflammation, Saisaki Conference Room, Alabang Town Center, Muntinlupa, October, 2001. 3rd Interhospital Grand Rounds, Philippine Academy of Ophthalmology, Club Filipino, Eisenhower St, Greenhills, March 8, 2002. Jannsen Proton Pump Inhibitor Lecture, Penthouse, Skyline, Vivere at the Richmond Hotel, Alabang, Muntinlupa, March, 2002. Healthway Medical Clinics Fellowship Dinner/Lecture: Heart Protection Study, 2/F Brasserie, Vivere at the Richmond Hotel, Alabang, Muntinlupa, March 2002. Las Pinas Medical Society Invitational Lecture: Low Back Pain, 2/F Vivere at the Richmond Hotel, Alabang, Muntinlupa, March, 2002. 1st Quarterly Lecture Series. Cataract Surgery as a Refractive Procedure: Achieving Target Refraction. Philippine Society of Cataract and Refractive Surgery, Isla Ballroom, EDSA Shangri-La Hotel, April 7, 2002. Manila Doctor's Hospital Department of Ophthalmology 11th Post Graduate Course Medical Therapeutics in External Disease Precision Management... Tangco Hall, Manila Doctors Hospital, Manila, June 22, 2002. Intravitreal Fluocinolone Acetonide Implantation Wet Lab. Bausch & Lomb. Asian Eye Institute, 9th Floor, Phinma Plaza, Rockwell Center, Makati. June 23, 2002. Post Operative Pain Control. Mu Sigma Phi Fraternity Alumni Meeting - Manila Chapter. Tropicana Hotel Function Room. MSD Philippines. July 10, 2002. Comparison of the efficacy, safety and quality of life provided by fexofenadine hydrochloride 120 mg and placebo administered once daily for the treatment of seasonal allergic rhinitis. Via Mare Restaurant, Alabang Town Center, Muntinlupa. Aventis. July 4, 2002. Glaucoma lecture: Cosopt and Coregulation. Saisaki Conference Room, Alabang Town Center, Muntinlupa, MSD Philippines, August 2, 2002. Alcon Travatan (Travaprost) Philippine Launch. Isla Ballroom, EDSA Shangri-La Hotel, August 5, 2002. Muntinlupa Medical Society Dinner-Symposium. Pneumonia in the Critically Ill. Vivere Hotel, Filinvest Corporate City, Alabang, Muntinlupa, August 16, 2002. Cardinal Santos Medical Center, Department of Ophthalmology, 5th Post-Graduate Course in Ophthalmology: Back to Basics - Instrumentation. Cardinal Santos Medical Center Conference Room, September 21, 2002. UP-PGH Department of Ophthalmology and Visual Sciences, Surgical Course, Institute of Ophthalmology Conference Room, Philippine General Hospital, September 22, 2002. Southeast Asian Glaucoma Interest Group (SEAGIG) 2nd Biennial Meeting, EDSA Shangri-La Hotel Plaza, Manila, Philippines, September 26-28, 2002. University of the East Ramon Magsaysay Memorial Medical Center Department of Ophthalmology, 11th Post Graduate Course, Strabismus: Its Evaluation & Management, Clinical Conference Room, University of the East Ramon Magsaysay Memorial Medical Center, Quezon City, October 4, 2002. UP-PGH Department of Ophthalmology and Visual Sciences Seminar on Ocular Diseases, Institute of Ophthalmology Conference Room, Philippine General Hospital, October 6, 2002. Ospital ng Makati, Department of Ophthalmology, 2nd Post Graduate Course, Oculoplastic Surgery in the Oriental Eye, Audio-visual room, Ospital ng Makati, Oct. 8, 2002. Muntinlupa Medical Society, Merck Sharp & Dohme Phils. Target Organ Protection in the Management of Hypertension 2/F Brasserie Room, Vivere Suites Filinvest, Alabang, Muntinlupa, Philippines, October 23, 2002. Evidenced Based Ophthalmology. Philippine Academy of Ophthalmology Annual Meeting, EDSA Shangri-La Hotel Plaza, Manila, Philippines, November 28-30, 2002. Cavite Ophthalmologists Symposium. Travatan Updates. Island Cove, Cavite. December 2002. 1st Annual Philippine Society of Cataract and Refractive Surgery convention. EDSA Shangri-La Hotel Plaza, Manila, Philippines, June 7-8, 2003. Jannsen RTD. Ulcers and motility. Gloria Maris 2/F. Alabang Town Center, Alabang, Muntinlupa, Philippines, July 23, 2003. Pharmacia RTD. Lasers in Glaucoma. Vivere Suites Filinvest, Alabang, Muntinlupa, Philippines, August 7, 2003. Pharmacia RTD. Visual Field Evaluations. Saisaki, Alabang Town Center, Alabang, Muntinlupa, Philippines, August 19, 2003. Thea RTD. Ageing and degeneration of ocular tissues. Congo Grill, Westgate, Filinvest Corporate City, Alabang, Muntinlupa, Philippines, August 27, 2003. Q.C.Eye Center Phacoemulsification RTD. Q.C. Eye Center, Quezon City Philippines, September 19, 2003. Eye Republic™ 1st Bi-monthly Round Table Discussion: Practice Pearls: Beginning your phaco practice. Roofdeck, Kimberly Hotel, Ermita, Manila, Philippines, October 3, 2003. Philippine Glaucoma Society and MSD: Optic Nerve Fiber Layer Imaging - Is it worth it?. EDSA Shangri-la Hotel Plaza, Manila, Philippines, October 8, 2003. Philippine Academy of Ophthalmology Annual Convention: Conquering Eye Infections. EDSA Shangri-la Hotel Plaza, Manila, Philippines, November 24-26, 2003. Eye Republic™ 2nd Bi-monthly Round Table Discussion: Practice Pearls: How to prescribe anti-glaucoma medications. Saisaki, Ermita, Manila, Philippines, December 5, 2003. Oftaquix product presentation. Santen. Wan Chai Restaurant, Ermita, Manila, Philippines, February 6, 2004. Eye Republic™ 2004 1st Bi-monthly Practice Pearls: External Disease and Cornea. Wan Chai Restaurant, Ermita, Manila, Philippines, February 13, 2004. Eye Republic™ 2004 2nd Bi-monthly Practice Pearls: Contact Lenses. Mil Novecientos, Ermita, Manila, Philippines, April 2, 2004. Philippine Foster Fellows Society 2004 Summer Case Presentations. Asian Eye Institute, April 2004. Q.C.Eye Center Phacoemulsification RTD 2004-2. Q.C. Eye Center, Quezon City Philippines, April, 2004. 2nd annual Philippine Society of Cataract and Refractive Surgery convention. EDSA Shangri-La Hotel, Manila, Philippines, June 19-20, 2004. Philippine Society of Cataract and Refractive Surgery (ESCRS Updates), Tagaytay City,Philippines, October 3, 2004. Roque MR. Christmas photophobia. RxMen. QTV11. Quezon City, Philippines, December 10, 2007. Roque MR. Color blindness. Umagang Kay Ganda. ABS-CBN 2, Quezon City, Philippines. July 17, 2007. Roque, MR. Rated K. ABS-CBN 2, Quezon City, Philippines. March 5, 2006. Roque, MR. Rated K. ABS-CBN 2, Quezon City, Philippines. December, 2005. Roque, MR. Katarata, Kirat at Kulaba. What's Up Doc? UNTV 37, Pasig City, Philippines, August 26, 2005. Roque, MR. Pediatric Ophthalmology. What's Up Doc? UNTV 37, Pasig City, Philippines, July 12, 2005. Roque, MR. Cataract. Serbis on the go. Channel 13, Manila Philippines, September 28, 2004. Roque MR. Stye and Allergic Conjunctivitis. RxPinoy's Doctors Online radio show. 702 AM, Manila, Philippines. July 6, 2006. Roque, MR. Himpapawid Radio interview. DZRH 666 AM, Manila, Philippines, October 24, 2004. Roque, MR. Strabismus. RxPinoy's Doctors Online radio show. 702 AM, Manila, Philippines, January 14, 2004. Roque, MR. At your service radio interview. DZMM 630 AM, Manila, Philippines, October 11, 2003. Roque, MR. Himpapawid Radio interview. DZRH 666 AM, Manila, Philippines, October 6, 2003. Roque MR. Cataracts. RxPinoy's Doctors Online radio show. 702 AM, Manila, Philippines, February 5, 2003. Roque MR. Diabetic Eye Diseases. RxPinoy's Doctors Online radio show. 702 AM, Manila, Philippines, September 4, 2002. Roque MR. Epidemic Keratoconjunctivitis. Doctors Online radio show. 702 AM, Manila, Philippines, March, 2002. Philippine Star, August 15, 2004. Manila Bulletin Online, August 1, 2004. Topnotcher (Rank 1), Oral Diplomate Board Examination, Philippine Board of Ophthalmology, 9th floor, College of Medicine, St. Luke's Medical Center, E. Rodriguez Ave. Q.C., October 13, 2002. Top Ten (Rank 9), Written Diplomate Board Examination, Philippine Board of Ophthalmology, 14th floor Conference Room, Cathedral Heights Building, St. Luke's Medical Center, E. Rodriguez Ave. Q.C., July 14, 2002. 2nd Runner up - St. Luke's Medical Center Team, Consultant member. 1st Philippine Interhospital Eye Q Ophthalmic Quiz, 14/F Conference Room, Cathedral Heights Building, St. Luke's Medical Center, E. Rodriguez Ave. Q.C., September 8, 2001.